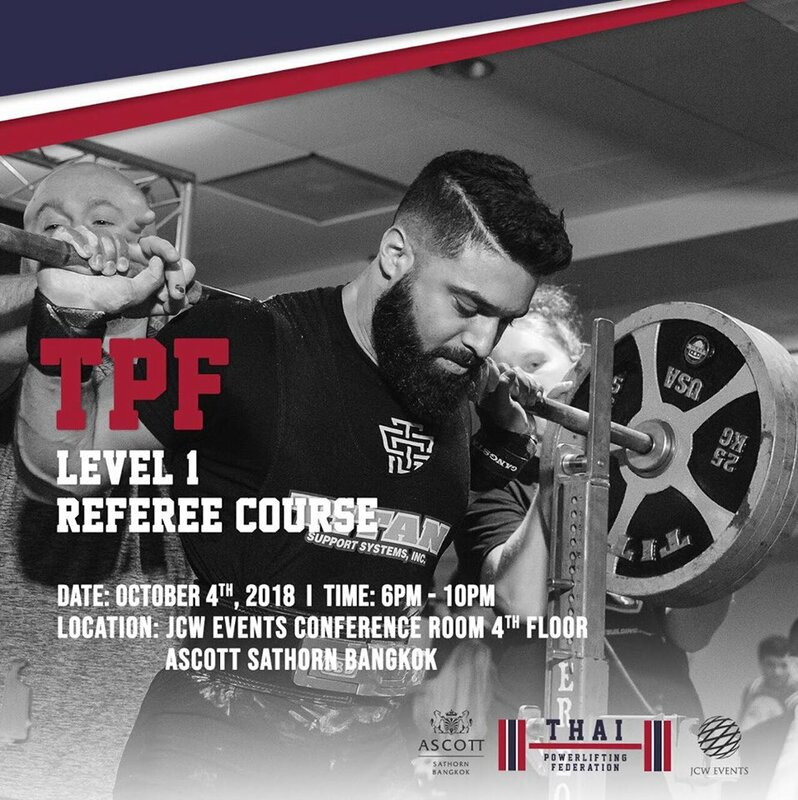 The Thai Powerlifting Federation is happy to announce its first Referee Training course will be taking place on the evening of October 4th from 6pm until 10pm. 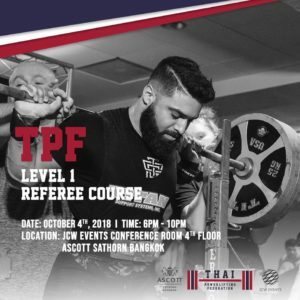 The practical portion of the course taking place on October 6th from 2pm to 6pm during the TPF’s first competition under the supervision of experienced international level referees. 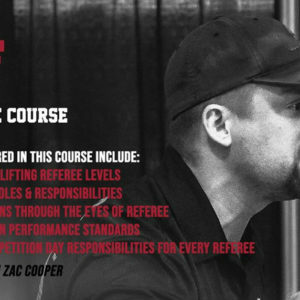 The course will be instructed by IPF category 2 international referee Mr. Zac Cooper. The venue as usual, will be taking place in the JCW Events conference room at the Ascott Sathorn Bangkok. 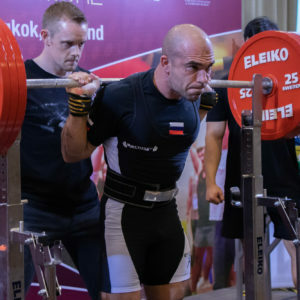 The referee course is capped at 15 people. 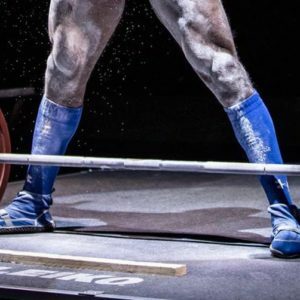 Please note that our previous courses have filled up very quickly so we recommend that you reserve your spot today!